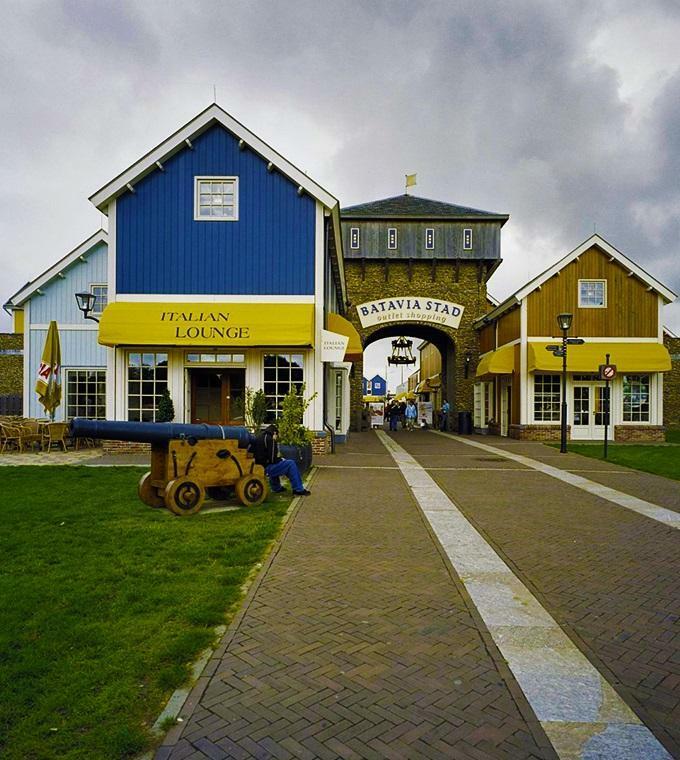 Enjoy a day out shopping at Batavia Stad Fashion Outlet: A daily shopping shuttle departs from the Pick-Up Point in front of Park Plaza Vitoria Amsterdam and will take you directly tot he popular Fashion Outlet. Shopping at Batavia Stad Fashion Outlet is a fabulous experience and a wonderful day out. This charming, reconstructed seventeenth-century village is a shopping Valhalla for people who love to make a statement with their outfit as well as people who prefer quality basics. More than 250 international fashion & lifestyle brands like Hugo Boss, Michael Kors and Tommy Hilfiger are waiting to inspire you with the latest trends, must-have items and more. Not only your wardrobe gaps will be filled after a day at Batavia Stad Fashion Outlet; you can also indulge yourself with jewelry, chocolate and even innovative cookware. Tired of shopping? Relax and soak in the cozy 'Batavia vibe' at one of the hip cafés or pleasant restaurants. The centre is opened 363 days a year and 7 days a week – from 10.00 – 18.00 during the week and from 10.00 – 20.00 on weekends and bank holidays. Bus Parking from the Rivercruises Ruijterkade Oost/East - Amsterdam River Cruise Port at De Ruiterkade 153, Amsterdam. You need to exchanges your voucher in the information center at the shopping center for your return ticket.